CLEVELAND -- The uncle of a 12-year-old boy who had a pellet gun when he was shot by a Cleveland police officer is telling mourners that they must be advocates for change through peaceful protest. Tamir Rice's uncle said at a memorial service on Wednesday that police need to change how they train officers and take a closer look at how they communicate with dispatchers. He says that the community needs to become Tamir's voice because he can no longer speak for himself. 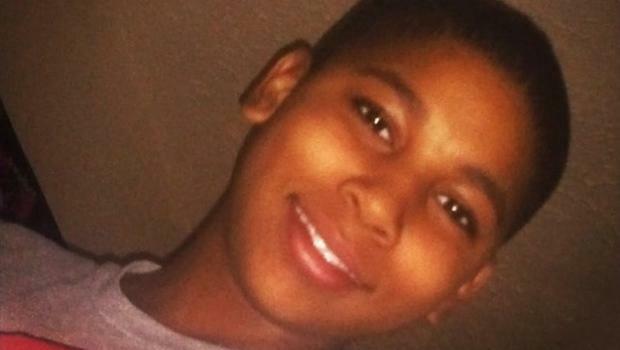 Police say a rookie officer who shot Tamir on Nov. 22 believed the boy had a real firearm. He actually had an airsoft gun, which shoots nonlethal plastic pellets. A grand jury will consider whether charges are merited. The shooting of Rice by 26-year-old officer Tim Loehmann outside a recreation center sparked protests in the area. Surveillance video shows Loehmann firing within two seconds of a patrol car stopping near Rice, who reached in his waistband for what turned out to be a pellet gun. Loehmann's father, Fred Loehmann, told the Northeast Ohio Media Group that the officer didn't know how young the boy was. He recalled his son saying: "I was right there and he went for the gun. I had no choice." CBS affiliate WOIO reports that Loehmann's former supervisors had concerns about the officer when he worked for the City of Independence Police force. A letter in his file says that Loehmann, was "distracted and weepy" and couldn't follow orders during firearms training.